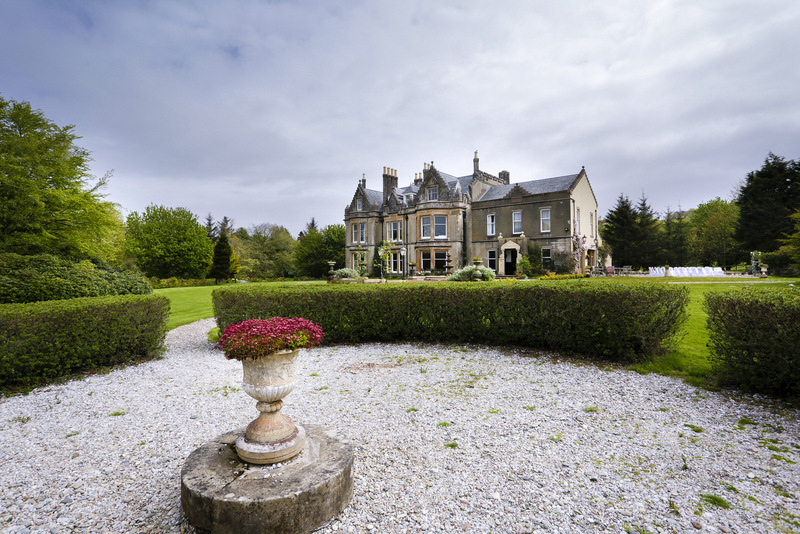 Balinakill is a wonderful house for any special gathering of family and friends. Guests are accommodated comfortably in 12 en-suite bedrooms and there is enough space for everyone to gather together in the large lounges or the Victorian dining room. Balinakill is rented on an exclusive use basis and the rental price includes overnight accommodation for up to a maximum of 30 overnight guests. There is a small double bed in the children’s playroom, a children’s mattress and 2 travel cots. Within the house itself we can cater for up to 50 guests for seated dining in the conservatory room, or for up to 120 guests for buffet style dining in either the Victorian dining room or in the conservatory room. 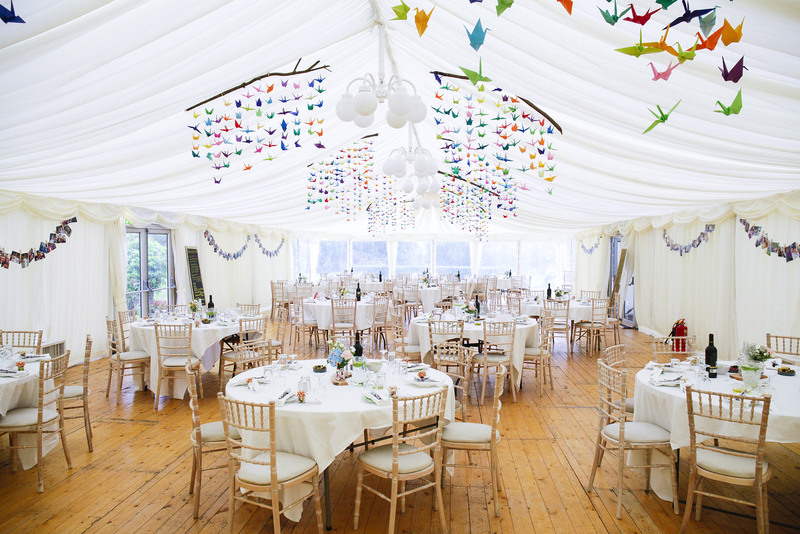 For weddings and events for up to 24 guests there is an additional charge of £250 for the use of the catering kitchen (assuming caterers are required – no additional charge if not) and any additional charges are dependent on how much, if any, setting up and clearing is required. If your guest numbers do not exceed 24 you can accommodate everyone round the table in the Victorian dining room (cosily, with a table added). If you do not require any additional services from ourselves, there are no additional charges and the usual house rental applies. For weddings and events for up to 50 guests (& buffets for up to 120 guests). This includes staff on site all day/evening to set up and clear as required and to ensure that everything runs smoothly. We also provide all banqueting tables & chairs, white cotton chair covers for up to 50 guests seated (for dining and/or ceremony), all table linen, crockery, cutlery, glassware, flower vases and candles. 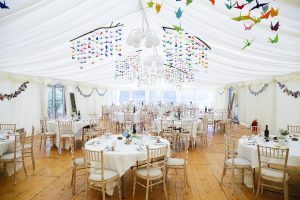 Should you wish to hold a marquee function at Balinakill we recommend ‘Tents and Events’, Dunoon who can attach a marquee to the side of the building, leading into the conservatory room. Please contact your chosen Marquee company for a quotation. 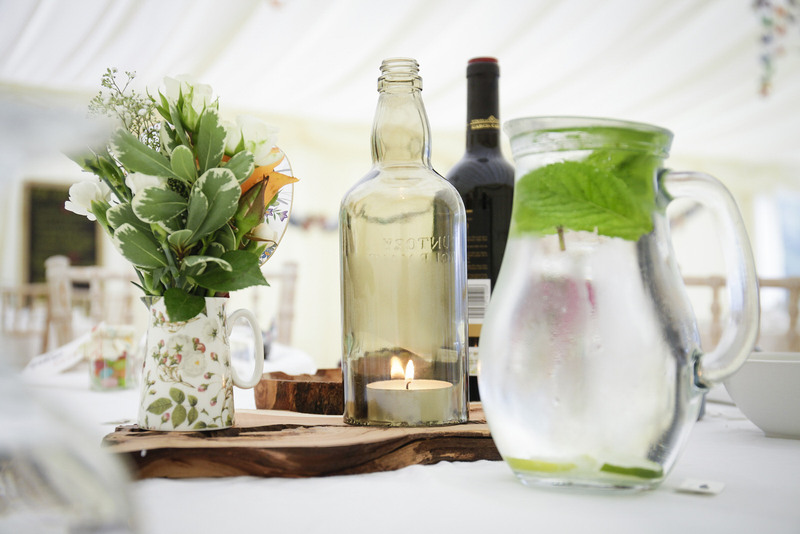 We are fully licensed and provide a staffed bar service for all weddings and events over 24 guests. You BYOB & stock your own bar – amount unlimited – for a corkage/service charge of £16.50 per adult guest. For example, for 30 guests the charge is £495, for 50 guests – £820, 100 guests – £1650. We provide bar staff all day/evening to serve champagne, wine and serve behind the bar. You can choose whether or not to offer a free bar or to charge for drinks, in which case all the bar takings are yours. Some previous guests have chosen to charge £2-3 for all drinks (spirits, pints, bottles etc), with all soft drinks free. 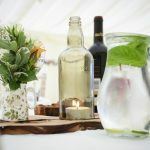 This usually keeps everyone happy as the guests have a cheap wedding bar and the hosts get to cover some or all of their bar costs! If guest numbers do not exceed 24 you are free to stock and run the bar yourselves for no additional charge. All we ask is that the bar is left as found. A bar person can however, be arranged on request. You are welcome to use your own wine/drinks supplier or we can put you in touch with our supplier who can supply all drinks delivered to Balinakill on a sale or return basis. There are pipes for real ales and Tennents Ales and we provide all the necessary equipment for connection, cleaning and gas if required. 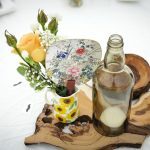 If you are running the bar yourself (up to 24 adult guests) you will need someone who knows how to connect the beer to the pipes – we do not provide this service. We have a wonderful choice of local caterers, all of whom are excellent. There is a list of local caterers on our website, all of whom are excellent and use the best local produce including local seafood, venison and lamb. 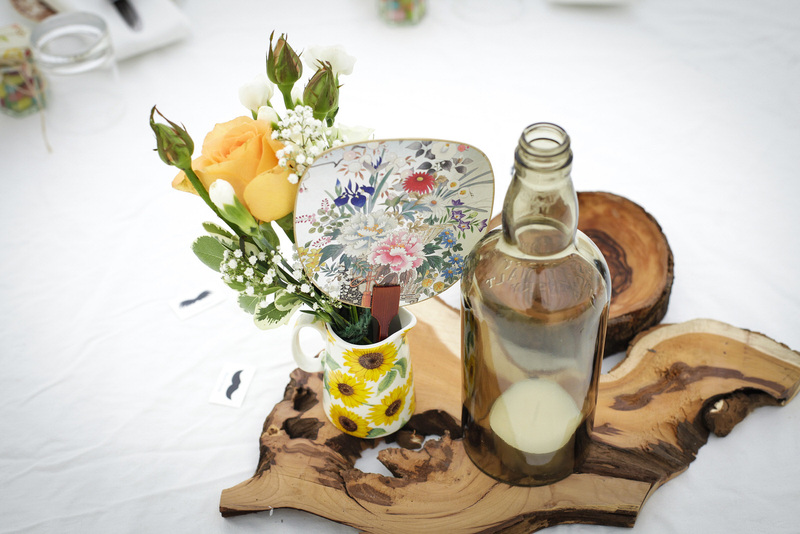 All the caterers offer something a little different so we suggest that you contact them all directly to explore who you feel most comfortable with and who will best meet your requirements. Balinakill does not charge commission on any other services you wish to bring into Balinakill. However, do please let us know if you are planning anything unusual! We try to remain as flexible as possible so every wedding or event is as personal and individual as you want to make it. With this ethos in mind we will strive to accommodate your wishes, however unusual, whenever we can. Please see our recommended suppliers list and blog for ideas.